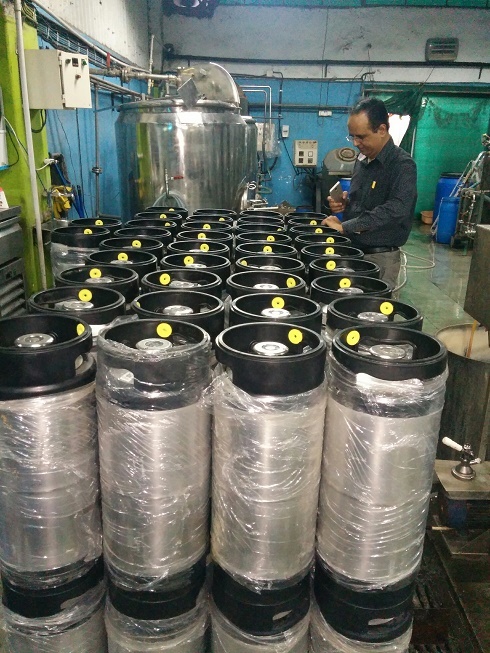 Tracking Beer Kegs » Dani Data Systems India Pvt. Ltd.
Radio Frequency Identification (RFID) is a technology that helps brewers automate the process of keg tracking and managing their kegs. RFID tags are placed on the kegs, and at any stage in the cycle, a keg’s status can be checked as it passes through a fixed RFID portal or when it is scanned using a handheld scanner during keg delivery and pickup. DDS ‘Keg Track’ software solution processes the RFID scans and then provides brewers with up-to-date information about their kegs. The keg’s last location, which customers has which kegs, how long the kegs have been at the customer site, which customers keep kegs the longest (or don’t return them at all). With DDS ‘Keg Track’, brewers have analytic tools to help them better plan and manage the movement of their kegs. DDS ‘Keg Track’ creates standard and customized reports that detail keg movement, status, and cycle time statistics. Better visibility and planning improves keg control, security, and utilization. Brewers can use DDS ‘Keg Track’ and RFID to uniquely identify each keg with its contents, and capture important data throughout its journey through the supply chain. Using the cloud-based system, brewers have accurate, up-to-date information and reports on keg fills, status, movement, customer location, returns, keg repair, and maintenance. DDS ‘Keg Track’ and ‘keg management’ system is end-to-end (software, hardware, and services) and will start providing benefits on day one. During crushing season sugarcane is transported from the fields to the sugar plant either in tractors or Bullock carts. Arrival of each Bullock cart/ tractor along with name of farmer is recorded at the entry of sugar plant. The weight of the sugarcane is recorded on the weigh bridge before and after unloading sugarcane for crushing. The complete process is automated with RFID. The implementation of RFID has reduced waiting time of farmers at the sugar plant and collection of payment is streamlined.